28 kms from Bangalore, off the Bangalore - Mysore, is located a massive banyan tree. The tree is said to be more than 400 years old. The roots of the tree cover more than 3 acres, and while the original root of the tree died a few years ago, and the roots of the tree can no longer be seen as belonging and originating from this single root, the entire place is still awe-inspiring. In some ways it reminds me of a strong family - with a strong root, and the protection of nature and the gods, the entire family of roots and trees that grow around this original root grows to be this beautiful combination of trees that are both independent while still connected to the parent root. 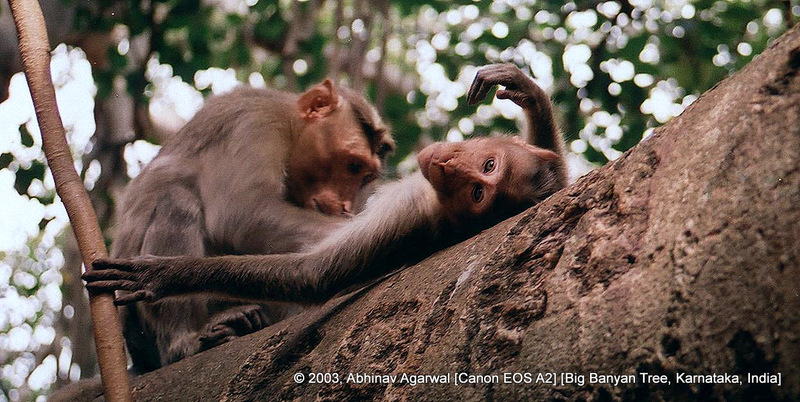 © 2012, Abhinav Agarwal (अभिनव अग्रवाल). All rights reserved.